The London and South Western Railway (L&SWR) opened the station on 11 July 1848 as 'Waterloo Bridge Station' (from the nearby Waterloo Bridge over the Thames) when its main line was extended from Nine Elms. The station, designed by William Tite, was raised above marshy ground on a series of arches. The unfulfilled intention was for a through station with services to the City of London. In 1886, it officially became "Waterloo Station", reflecting long-standing common usage, even in some L&SWR timetables. 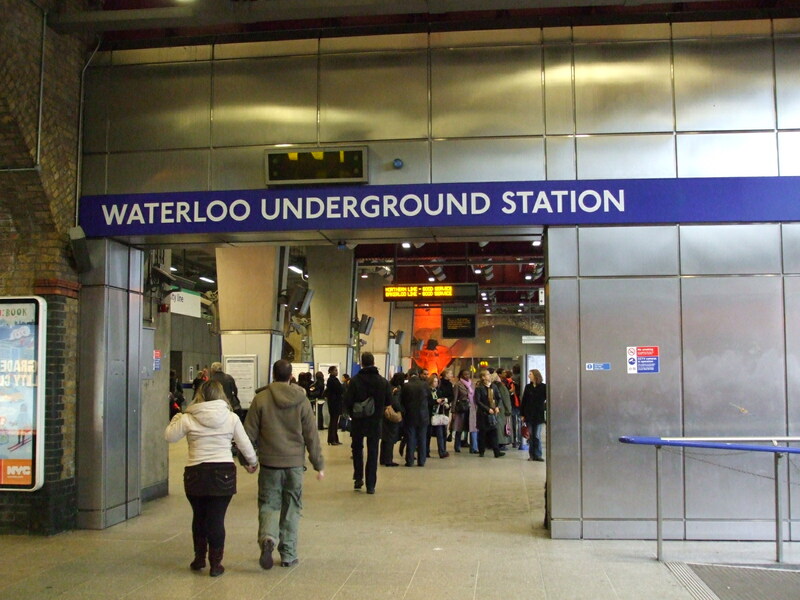 The first Underground station at Waterloo was opened on 8 August 1898 by the Waterloo & City Railway (W&CR), a subsidiary of the owners of the main line station, the London and South Western Railway (L&SWR). The W&CR, nicknamed "The Drain", achieved in a limited way the L&SWR's original plan of taking its tracks the short distance north-east into the City of London. On 10 March 1906, the Baker Street & Waterloo Railway (BS&WR, now the Bakerloo line) was opened. On 13 September 1926, the extension of the Hampstead & Highgate line (as the Charing Cross branch of the Northern line was then known) was opened from Embankment to the existing City & South London Railway station Kennington with a new station at Waterloo. The area was marshland towards the northern tip of the ancient parish of Lambeth. It was known as Lambeth Marshe, but was drained in the 18th century and is remembered in the Lower Marsh street name. The first bridge on the site was opened in 1817 and the current bridge was opened in 1945. The bridge was named to commemorate the Battle of Waterloo in 1815. Waterloo Road also dates from this time, built on land belonging to the Archbishop of Canterbury. 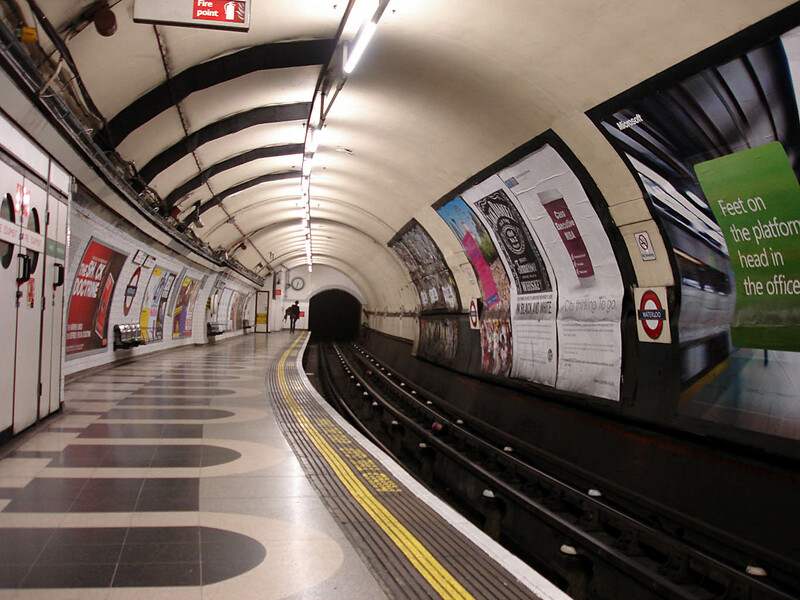 The Jubilee line platforms are at the opposite end of the site from those of the Bakerloo and Northern lines, but the two ends are connected by a 140-metre (460 ft) moving walkway link (one of only two on the Underground; the other gives access to the Waterloo & City line platform at Bank station). The station has lifts, a bridge, cash machines, payphones, wi-fi and escalators. Connections: Jubilee, Waterloo + City, Northern Line. The station is served by London Buses routes 1, 4, 26, 59, 68, 76, 77, 139, 168, 171, 172, 176, 188, 211, 243, 341, 381, 507, 521, RV1 and X68 and night routes N1, N68, N76, N171, N20, N343 and N381..